Platelet-rich plasma, or PRP injection, has been gaining credibility in the treatment of orthopedic problems and wound healing. More recently, two studies showing PRP’s positive impact on hair growth and as a skin rejuvenation option used along with microneedling are making a big impact in cosmetic surgery patients. In one study published in the Aesthetic Surgery Journal, the author demonstrated microneedling safely and effectively creates reversible micro-channels and skin permeability for the delivery of PRP and cosmeceutical ingredients. New studies show PRP is an effective cosmetic procedure for people who have hair thinning or loss, or aging facial skin. PRP, often used along with microneedling, stimulates hair and collagen growth. The researcher in the study treated patients for skin wrinkling and laxity, scars and hair loss, known as alopecia. In some cases, the researcher used plasma rich platelets; in others, he used cosmeceuticals as an adjunct to microneedling. Microneedling alone and in combination with the adjunct therapies notably improved the appearance of wrinkles, softened scars and grew hair, according to the study. 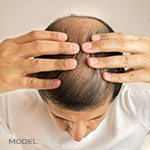 With only minimal side effects, the author noted that the average hair count in a 10 mm spot on patients’ scalps was 88.3 at the study’s start and increased to 133.6 at one year post treatment. In yet another study published December 2016 in the Annals of Dermatology, researchers looked specifically at PRP for facial rejuvenation. They injected a single dose of PRP into the right side of the face and saline, or placebo, into the left; then, they examined both sides for changes. 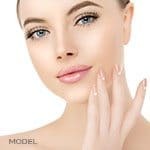 Among the 20 women studied, the researchers found PRP increased skin collagen and should be thought of as a safe, effective option in skin rejuvenation. “These studies and others suggest PRP administration is an important, safe and effective option in cosmetic surgery—especially among men and women who don’t want to have procedures that involve actual surgery, downtime and long recoveries. This is relatively simple and uses a person’s own platelets to stimulate healthy hair growth or rejuvenate aging or scarred skin,” Dr. Buckley says.